Ryan stopped short of promising to defund the organization, noting that such a promise would be politically unrealistic. “Being an effective opposition party means being honest with people up front about what it is we can and cannot achieve,” he said. 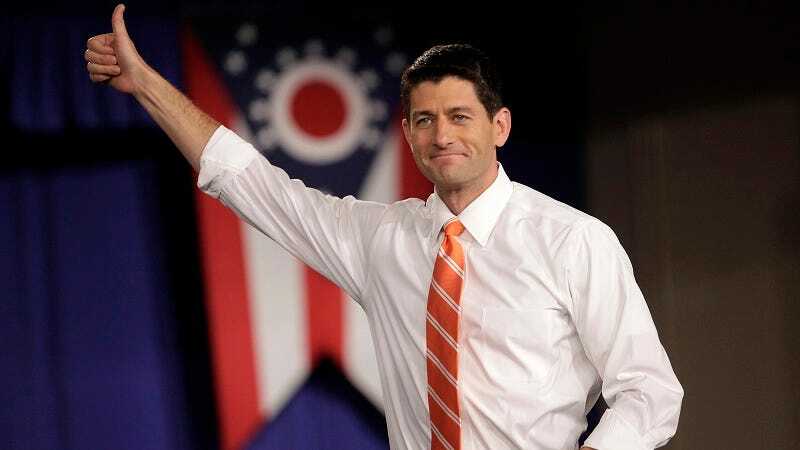 Still, Ryan will, however, go forward with the panel appointed by his predecessor John Boehner. That special subcommittee, chaired by Marsha Blackburn (R-TN), will convene with the sole purpose of investigating Planned Parenthood. Planned Parenthood has long been a target of Ryan’s. As a Congressman and vice presidential candidate, Ryan was a proponent of a “no exception” abortion bill. “The health exception is a loophole wide enough to drive a Mack truck through it,” he said in 2008. Last week, Planned Parenthood President Cecile Richards sent a four-page letter to Ryan urging the new Speaker to provide “fair and impartial” treatment of the organization. The rest of the interview continued as Republican business as usual: Ryan called for the repeal of Obamacare and reiterated his position of family leave (he’s against it).